Preserve the scent of those you love and care for with the original scientifically tested Scent Preservation Kit®. 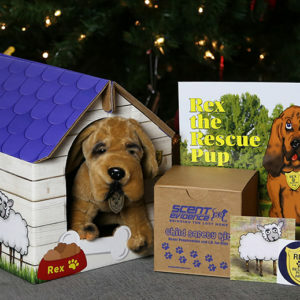 Get a Kit today! 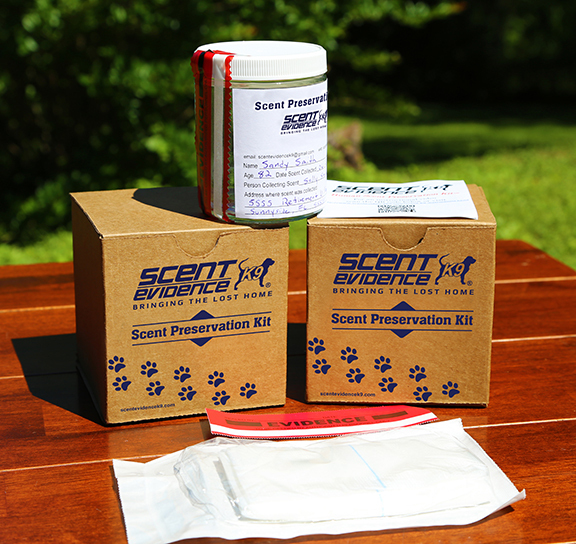 Our scientifically-tested and proven to work scent kits are utilized by families, law enforcement agencies, and community organizations around the world to save lives and help bring the lost back home. 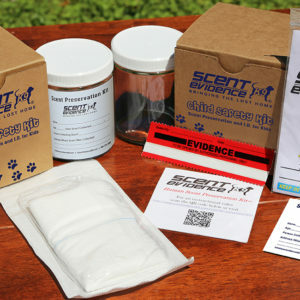 Your scent is like your fingerprint to trained K9 responders and can last up to 10 years. 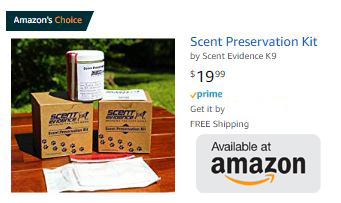 The Scent Preservation Kit® is a great addition to your family safety plan and a smart way for kids, campers, hikers, and the elderly to be prepared in case they get lost or go missing. Get Yours Today. SEK9 scent kits are easy to use and it only takes a few minutes to collect and store a person’s unique odor. 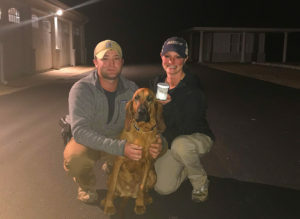 In just a few quick steps you can collect, store, and have your scent ready for responders to find your missing loved one fast and bring them home safe. Why Do I Need A Scent Preservation Kit? 4.5 Million people have gone missing in the past 20 years. 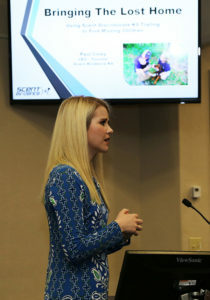 When Scent Evidence K9 hosted kidnap victim and child safety advocate, Elizabeth Smart, during Florida’s 2018 Children’s Week event, we were reminded that the unthinkable can happen to people from every walk of life. Children with Autism and adults diagnosed with Alzheimer’s Disease and other forms of dementia are even more at risk to wander and go missing. 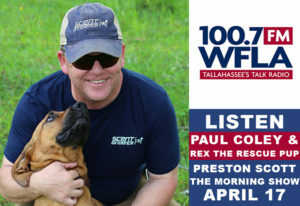 The American Pediatrics Association states that children with autism have an almost 50% chance of going missing at least once before age 17 and studies have shown that 6 out of 10 of those with Alzheimer’s Disease will wander. How Does Scent Preservation Work? 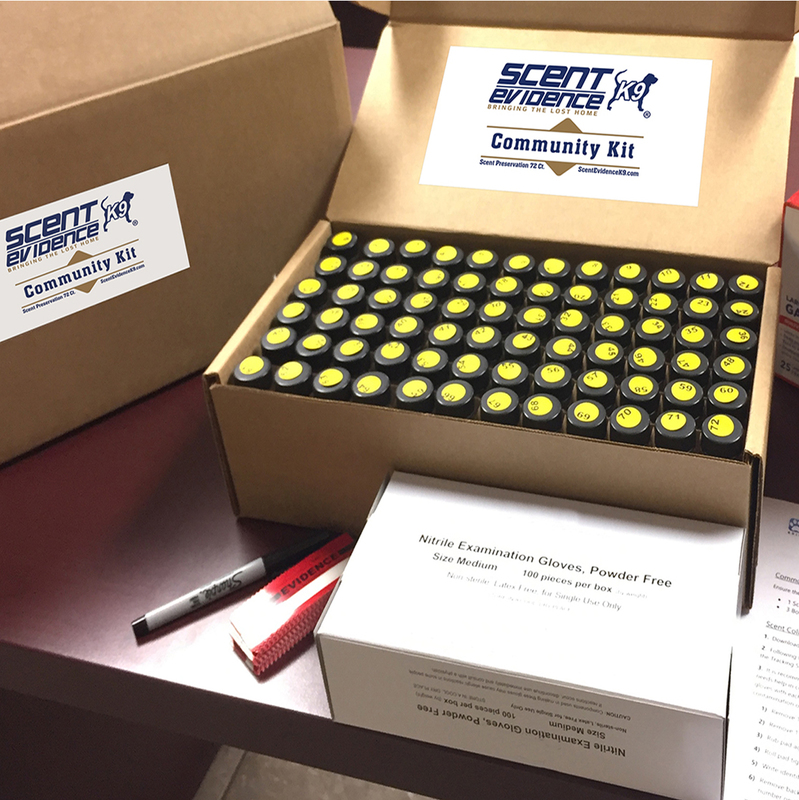 A Scent Preservation Kit® is one of the most effective and affordable ways to take precautions before a missing person event occurs. 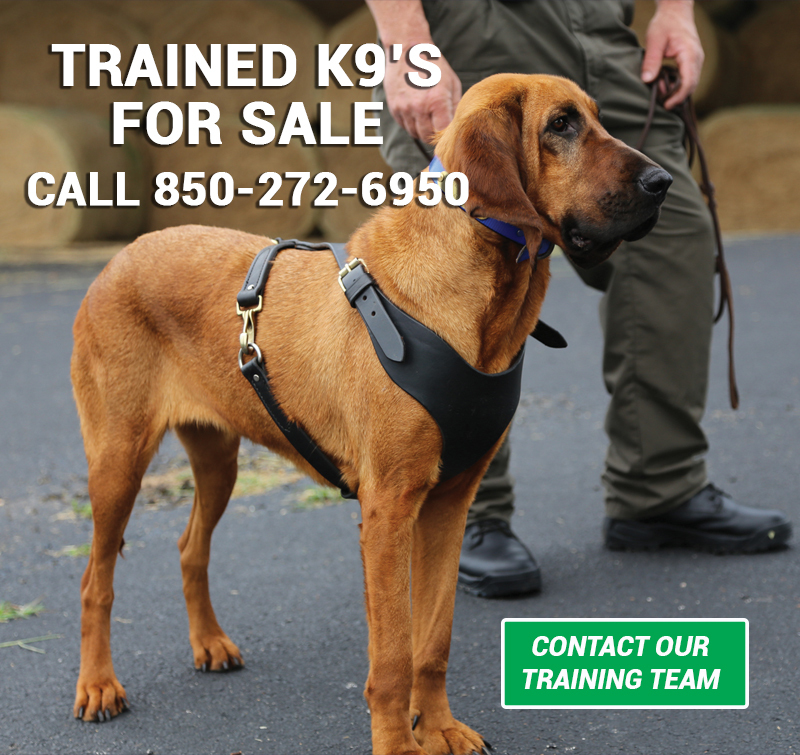 Preserving one’s odor ahead of time gives responding K9 Units a head start by providing the trailing dogs with an uncontaminated scent article. When a person collects and stores their own scent, it isn’t touched by other family members, pets, or responders. 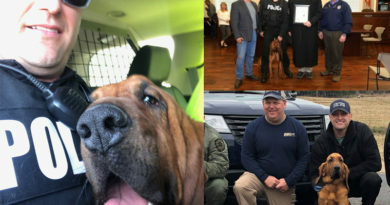 This means that K9 Units do not have to go through the time-consuming dismissal process to determine who’s scent is actually on the article. In a missing persons case, time can be a matter of life and death. Scent preservation saves valuable time before the search begins and reduces the time it takes to find the lost and bring them home. 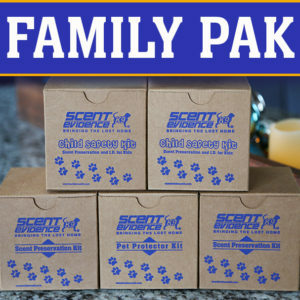 A Scent Preservation Kit® is a great addition to your proactive family protection plan. Especially for those in the Sandwich Generation where nearly half (47%) of adults in their 40s and 50s have a parent age 65 or older and are raising a young child. As Autism and Alzheimer’s diagnoses increase, the need for an affordable extra layer of protection becomes even more valuable. While GPS tracking devices are also utilized for location, they are very expensive, (often hundreds of dollars), and can be taken off, lost, broken, or simply out of range. A person can’t lose their scent. It’s like a fingerprint for scent discriminate K9’s. 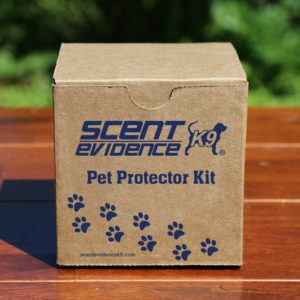 Studies show that our Scent Preservation Kit® can safely preserve a person’s scent for up to 10 years. And, the average cost of an individual kit is about $20.